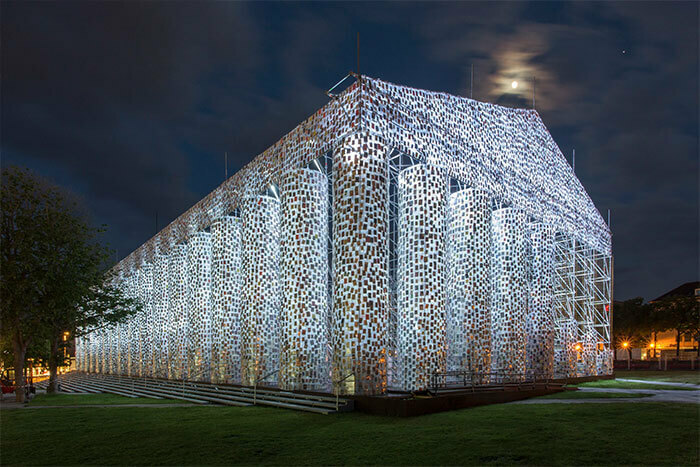 What can you do with 100,000 books? 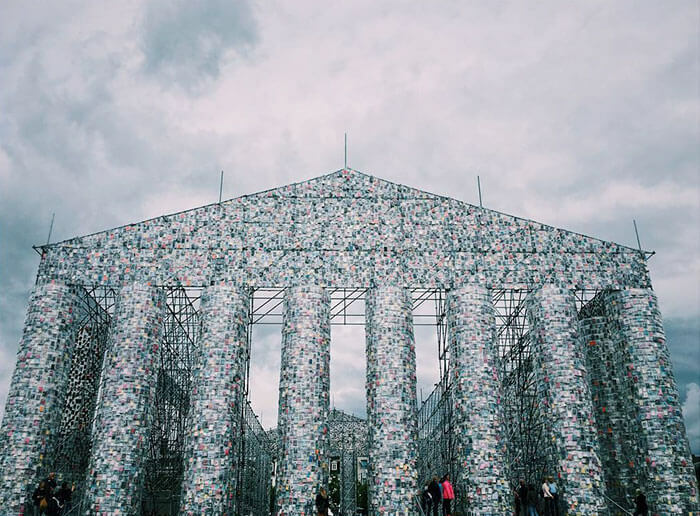 Build a full-size Greek Parthenon. Yes, you can, if your name is Marta Minujin and you are an artist. The Parthenon you are about to see below is a way to remember the events of WWII, the repression, the fear, the ignorance; and let’s not forget that the Germans burnt thousands of books that were not on the same line with their ideology or just seemed subversive and dangerously capable of making people actually think. 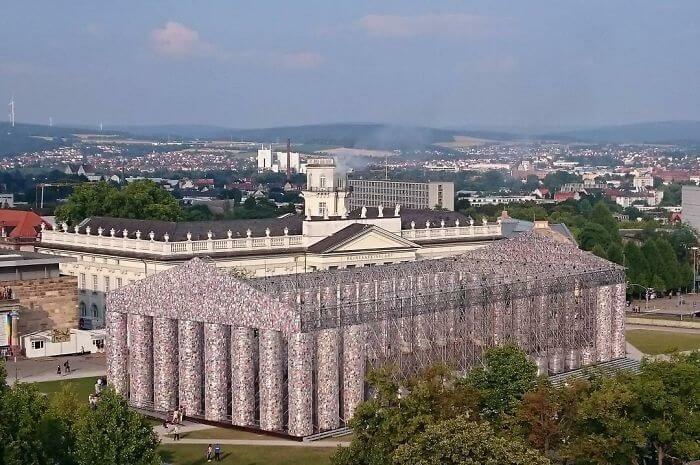 The Parthenon of Books is located in Kassel, in Germany. Should we ask ourselves why? No, we don’t need to. 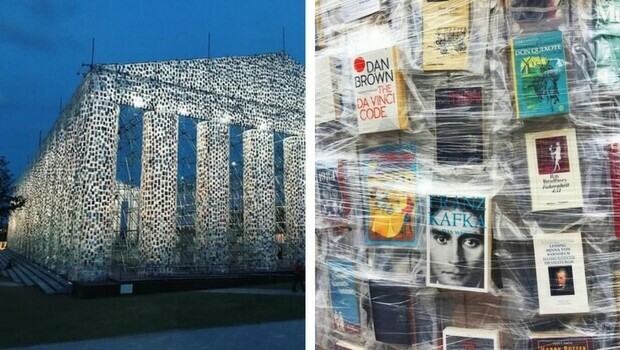 The monument (or, let’s better say piece of art) is located near the place where the Nazis burnt around 2,000 books. 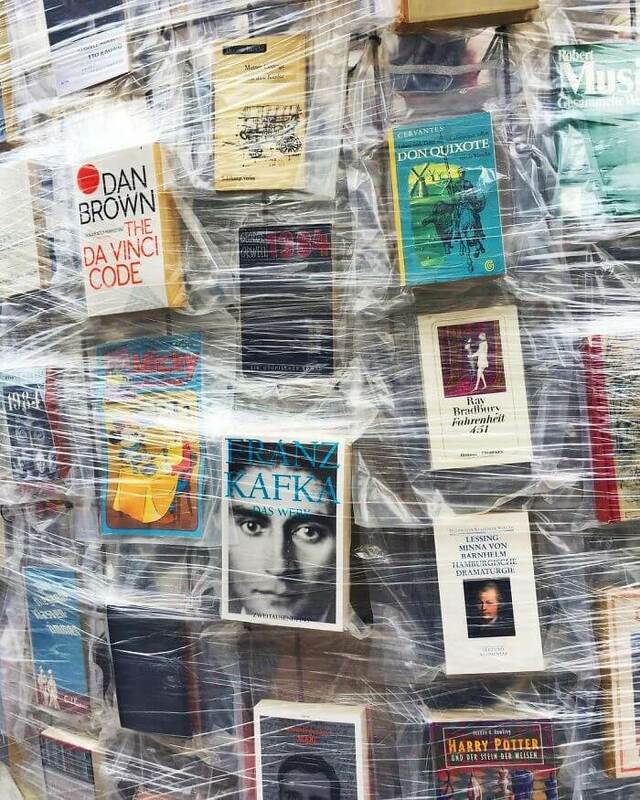 “When they burn books, at the end they also burn people”, said Heinrich Heine in the 19th century and we couldn’t agree more. 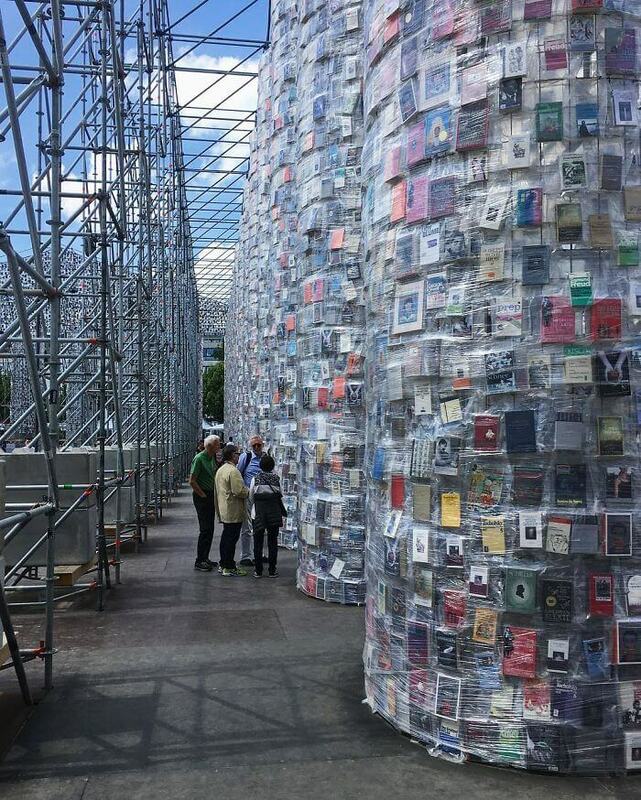 The artist behind all this, Marta Minujin had help from the students of the Kassel University to make a list of over 170 titles of books which were and maybe, still are, banned in different countries. 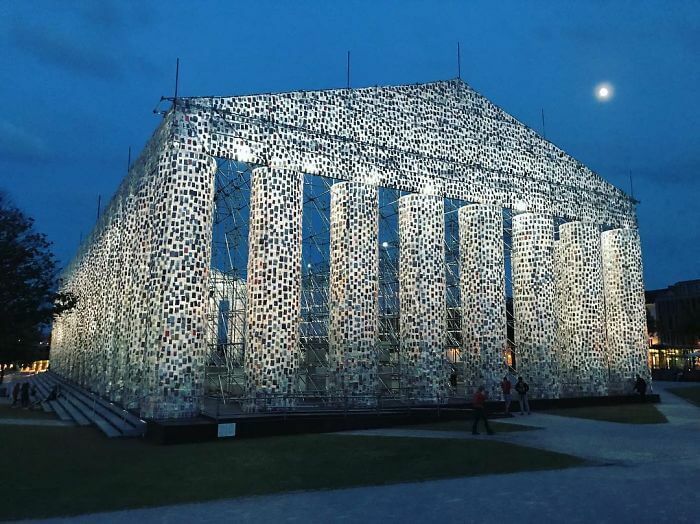 Then, the team created this work of art, a full-size replica of the Greek Parthenon, all of it from books, plastic, sheet and steel. “In her mass-participation projects, Minujín rediscovers the initial value of a collective treasure; she melts shared capital back down into cultural currency without remainder. 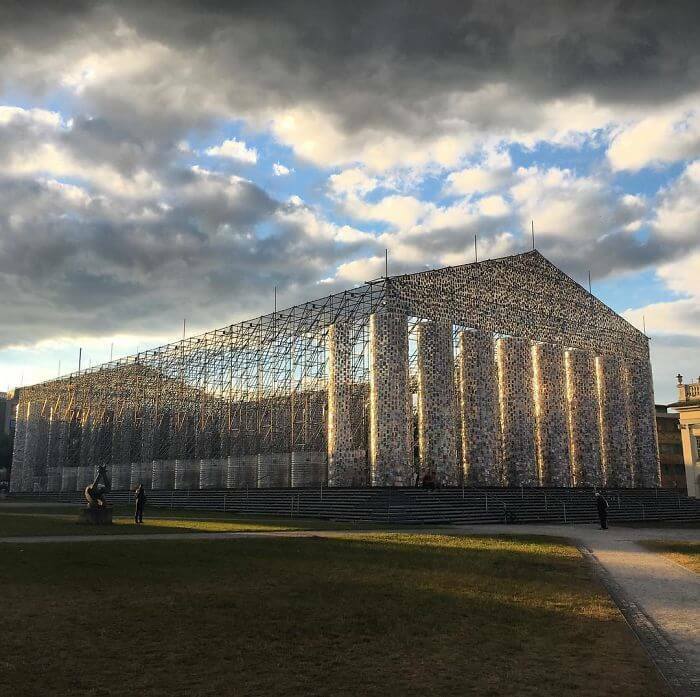 She lays down the verticality of public edifices that embody confiscated cultural knowledge and a hidebound heritage,” wrote curator Pierre Bal-Blanc. “She dilapidates the fortune these myths represent. By literally tilting these symbols, Minujín not only gives new meaning to these monuments, she offers them a new sensuality”, continued the curator. Now, we shall reflect a little bit here. 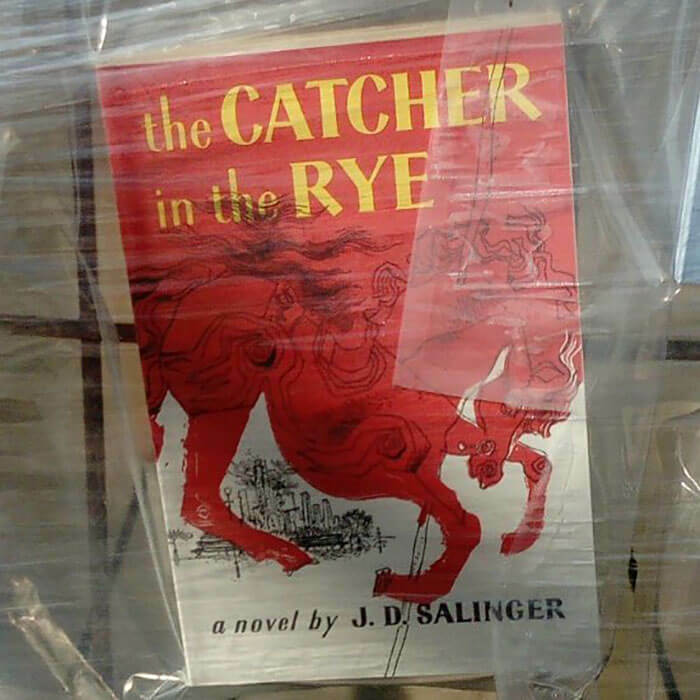 First, on the art form and on the artist’s personality that we see reflected through the work and second on books, knowledge and not staying in the dark. Get busy reflecting!